(Flowers & Ribbons) is on Facebook, click HERE to see. It is updated every day with something yummy. Pop over & take a peek & make sure you click "LIKE" & be a Fan. It is well worth a look. Make sure you put it in your favourites. Also Green Tara have a great blog click this link to pop over & see more. 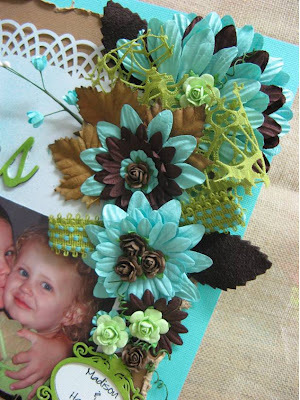 2 Crafty Chipboard are also on Facebook, & it is updated daily. Click HERE to pop over & see. They have a NEW Design Team starting 1st August & let me tell you they are DYNAMITE. Again, make sure you become a "FAN" so you don't miss out on anything. 2 Crafty also have a great blog full of ideas so pop over & see more. 2 Crafty Chipboard & Green Tara flowers, ribbons & Lace. We get top up orders of both these brands every week.